SEO or Search Engine Optimization is a very confusing subject for most small business owners in Dallas. There are companies out there who want upwards of $500 a month for web search optimization. Nine times out of ten those companies are fly-by-night operations who promise the moon, take your money and run. Some are good though and those companies can get you results... as long as you keep paying them their monthly fee. The way Your-Web-Guys does SEO is what is called white hat, natural or organic SEO. This kind of search optimization is on your website. 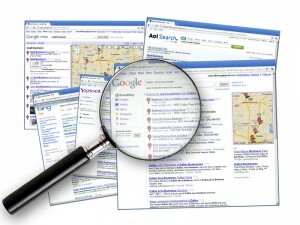 It is how Google (and other search engines) suggest to optimize your site to get better listings over the long term. We work on things like titles and descriptions, keyword density and alt tags, page rank and back links. We also work with our clients on how to continually increase their SERPs (search engine results placements) so that each and every page of their website has the best chance possible of being in the top ten SERPs for just about any keyword they choose. We do not promise the moon or guarantee results, but we get our clients in the top ten more often than not and you never have to worry about being held hostage by a SEO company or being blacklisted by a search engine.